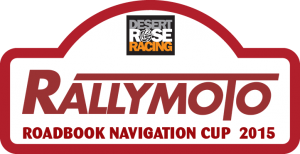 The results are out for the RallyMoto Tarenig Rally and I'm over the moon! I won my class and if my very quick calculations are correct, I was 3rd overall. I can't tell you how happy I am with that, I'm absolutely beaming! The full set of results can be found here. I was very fired up for this one with it being another "home round", so I'm glad I was able to hold it all together and keep a cool head for the result I desperately wanted! Hopefully that means I have done enough to secure 3rd place in the 2014 All Terrain Rally Challenge Rally Lite 2T > 249cc class. I'll be pushing hard for another good result at the WTRA Cambrian Rally, to see if I can get my hands on some more valuable points and possibly chase down the 2nd place spot! Unfortunately, it's unlikely I can challenge for the top spot because I've missed too many rounds this year, but I'm very happy with what I've achieved so far on the Wales Air Ambulance EXC!